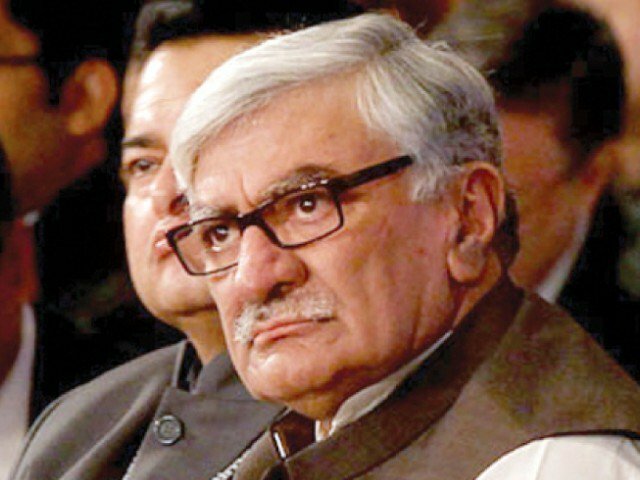 CHARSADDA: Awami National Party (ANP) Chief Asfand Yar Wali claimed that Election Commission of Pakistan (ECP) has uploaded form 45 by filling it according to its own choice but it is known to us the thief has used what method in stealing the election. He said this while addressing a protest rally in Charsada Monday. Expressing his strong reservations on July 2015 elections, he said when all the parties are on one platform on the issue of results, then why the judiciary does not take notice of this matter. “We are with all the parties with regard to elections and every decision of All Parties Conference (APC) is acceptable to us,” he said. To a question, he said the way ECP has filled form 45 on its own sweet will and uploaded it and the whole nation knows it that how the thief has committed theft.